QuickSilver Controls is proud to announce their 22th year anniversary! Servo Motor Performance At Stepper Motor Prices can now be achieved with advanced yet cost-effective technology from QuickSilver Controls, Inc. For the past 20 years, we have manufactured servo controllers and high torque brushless AC servo motors at stepper motor prices. QuickSilver Controls is always adding new capabilities and features to our dynamic software QuickControl™. Because we want our customers to have access to cutting edge commands and techniques that will enhance current and future projects we can provide training for you or your team. Open to both customers and distributors who may wish to attend, we can cover basic and advanced topics as well as work on special subjects and specific applications. Please contact Diane at (909) 599-6291 or fill out our Contact Us form to request training information. 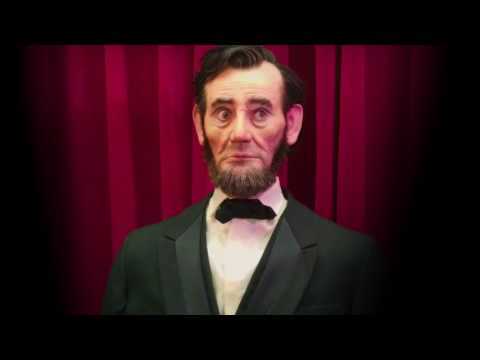 Check out Garner Holt Productions' Animatronic Lincoln Expressive Humanoid Robot Head. Working with QuickSilver Controls, Garner Holt Productions developed a state-of-the-art, fully electric animatronic figure with realistic and lifelike facial expressions. QuickSilver Controls, Inc is proud to announce the return of the SilverMax Integrated Hybrid Servo Motor Line to our 2016 product family. Powerful and durable, our Integrated Hybrid Servo Motors provide superior continuous torque at low speeds, transitioning to nearly constant power curves up to 4000 RPM and are very well suited to direct drive of lead screws and belt drives, typically eliminating the need for gear heads. Additionally, patented damping methods in our PVIA control system allows wide ranges of inertial mismatch without the need for notch filters or retuning. Announcing the new and improved SilverNugget™ X-series Servo Controller/Driver! The SilverNugget N2-IX is a servo controller/driver for QCI’s line of NEMA 11, 17, 23, and 24 frame, high torque, direct drive, servo motors. The N2-IX Servo Controller/Driver is designed to operate QCI’s I-Grade motors through a single motor interface cable, which carries motor power and encoder feedback. This single cable solution allows for easy installations and simple cable routing. Our servo controllers convert traditional microstep motors into hybrid servo motors also known as closed loop stepper motors. What the industry commonly refers to as a “stepper motor” is, more accurately, a 2 phase, 100 pole, AC brushless motor. Our digital controllers use a four quadrant vector drive ( similar to a variable frequency drive) to drive our 2 phase AC motors just like traditional servo motors are driven. Since we use servo motor control rather than microstep control, our motors are more efficient (run cooler) and do not stall like traditional micro stepper motors. Why Servo a Microstep Motor? The servo market has made several transitions over the years. One of the more recent is a wider use of microstep capable step motors as primary movers in servo systems. This transition has been fueled by the growing availability of powerful Digital Signal Processors at affordable prices, as well as control algorithm development. These new step motor based servos include true servo motors using control algorithms which modulate motor torque to perform the requested motion, as well as pseudo servo motors which dynamically vary the step rate to prevent loss of steps. How Our Servos Run Cooler? “Motor Quality Factor” is the ratio of torque to the square root of power needed to generate that torque. The Motor Quality factor, Kq, gives a good method to compare various motors regardless of winding choices. This white paper compares one of QCI's high pole servo motor to a low pole count conventional servo of simialr size, and explains why QCI's servos are much more efficient, and thus run cooler. QuickSilver Controls, Inc. is a motion control product manufacturer based in San Dimas, California established in 1996. 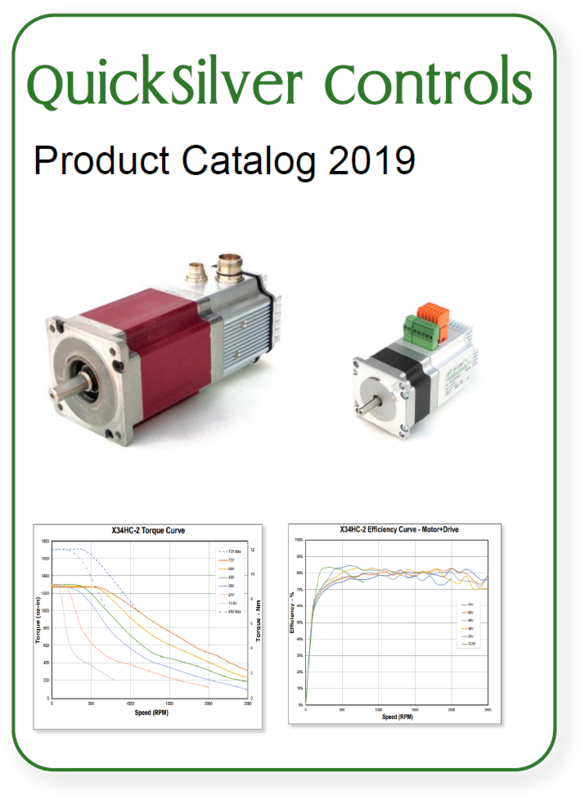 QCI markets high-performance, cost-effective motion control products, servo controllers and motors for use in the Original Equipment Manufacturer market. We continuously apply our patented technology to solve new challenges in the fields of motion control and servo motor control. High-performance motion control products for the Original Equipment Manufacturer (OEM) market. A brief list of our success stories. Download PDF for more details. 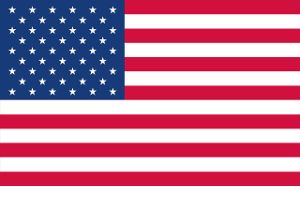 QCI's motion products are proudly designed and manufactured in San Dimas, California.